n 1948 Mr. JC Thom an agricultural teacher bought a stand in Kiewietjie Street for £100-00. The wooden house and garage erected on the property were created from one of the dismantled Royal Air Force barracks used during the 2nd World War (1939-1945). These units had been built on the landing strip in George and were sold off after the war for £50 each. The garage had to be removed later as it jutted out into the road. On holidays at Kiewietjie Street Mr Thom would knock on the rainwater tanks to see how much water there was in them. Accordingly, he would allow the family to bath on Saturdays. For the rest of the week a swim in salt water had to do. In those early years residents had to supply their own lights (lamps). Some had generators to provide power and could also pump water from the lake to their houses. Those were the good old days! 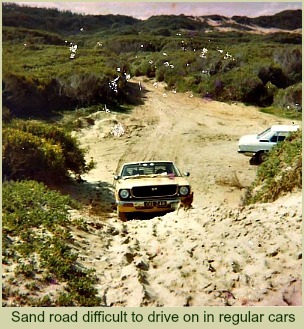 Sedgefield roads at that time were all sand roads. At the point where Kingfisher Drive left the water’s edge, it became steep, narrow and sandy. Drivers had to floor the accelerator and keep their hand on the hooter to get to the top of the hill safely. Sometimes the car did not make it the first time and the driver had to reverse back and try again! Fortunately there were only a few houses on the sea side of Sedgefield and as far as is known, no collisions occurred. 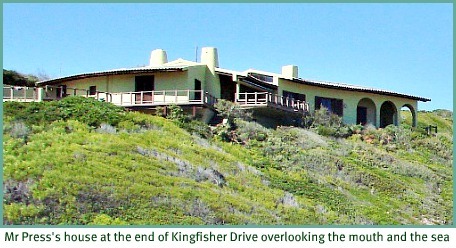 At high tide when the estuary encroached over Kingfisher Drive, the houses were stranded from the village. In time of floods people had to get provisions by boat. Fred Hampson on occasion rowed his boat across from his house to take people milk, bread and other provisions when they could not get into town along road. In those days there were only 2 shops in town. Mr Parrot a RAF fighter pilot who stayed on in South Africa after the war owned a General Dealers Store. He kept everything from food to clothes, from building materials to paint. Part of his shop also served as the Post Office. Each morning, Mr Parrot sent someone around the village with an order book and in the evening he would deliver all the orders received earlier in the day, in his bakkie. Milk was delivered to houses in wine bottles every day. When the shop was sold, it became known as the Village Supply Store. The other shop was Mr Kleyn’s Butchery where the Municipal Maintenance Depot is now. A very small café was situated where the Total Garage now stands. 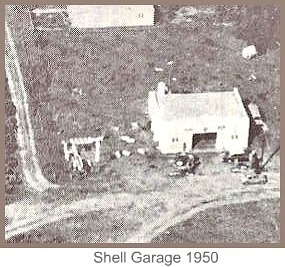 The existing Shell Garage had already been somewhat modernised but was still small compared with its facilities today. 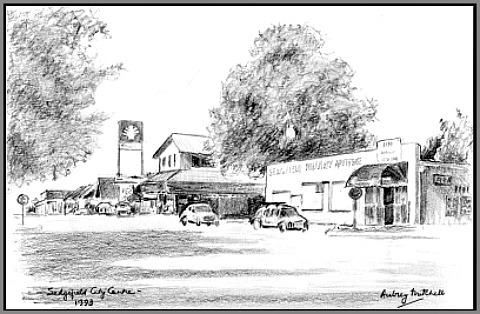 The sketch below by Audrey Mitchell is of Sedgefield Main Street in 1993. The pharmacy is in the foreground and the Total Garage can be seen further down the road. 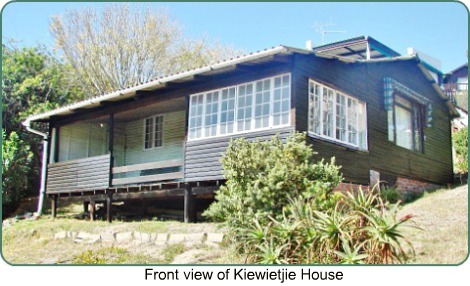 Mr Thom died in 1973 and his second son, Kobus took ownership of the Kiewietjie Street house. One of the few houses still in its original form, it was used as an enjoyable holiday home. 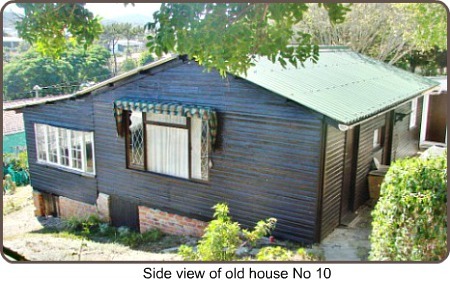 Although a smart new house has been built at the front of 10 Kiewietjie Street, the original house now over 6 decades old that was erected on the land in 1948 by Mr. J.C. Thom, is amazingly, still there in its original form – a small piece of Sedgefield history. 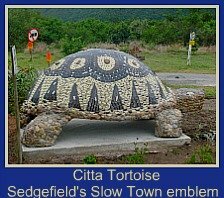 In 1961 James Stokes together with his wife Susanna and children, moved from Springs in Johannesburg to Sedgefield. As James was suffering from a serious mine illness a move to a better climate for it had been recommended by his doctor. 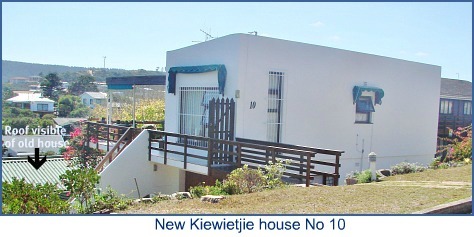 The family took up residence also in a Kietwietjie Street house. These were most likely the only 2 houses in the street. 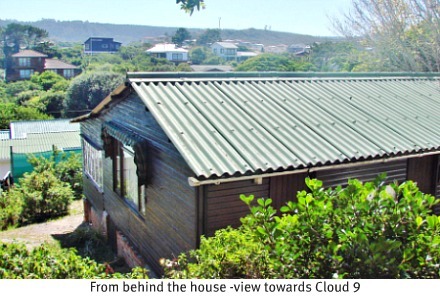 At that time the families had to leave their vehicles parked just off Kingfisher Drive and walk up the steep incline and sandy track that was then Kiewietjie Street. As it was then, the steep, deep sand track was literally inaccessible for a regular motor vehicle and it was quite some time before the residents could drive to their houses. James still needed to work and he started fishing at Gerickes Point. He then built 2 boathouses there and using steel framed fishing boats, fishing became his livelihood. His crew were experienced local fishermen and they took a percentage of the fish they caught for themselves as pay. The launching and beaching of the boats had to coincide with the tides and it was extremely hard work and dangerous. Few of the fishermen could swim and life jackets were not part of their attire. James was able to sell fresh fish daily but is was a survival type of existence. Section on James Stokes from an article in the George Herald 22 March 2007. The first sophisticated modern house was “Starboard”, 73 Kingfisher Drive. Sedgefielders were dumb-struck by its splendour. The first owner and builder of the house tried to go out to sea in a boat. The boat capsized and his son was drowned. He swiftly sold the house and left. The second house people talked about was Mr Sydney Press’s house built right at the river mouth. He had to build almost the whole road in order to build his house! 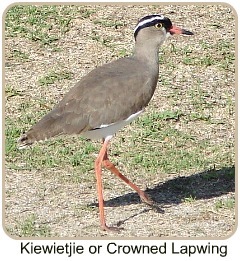 The above article about Kiewietjie Street was derived from an Afrikaans article written in the Easter 1990 issue of Sedge News by Mrs JD Thom van Stellenberg. An interesting place this Sedgefield, after years of looking at Joburg’s cement walls. As a new resident, I am deadly ashamed of some of our pavements when people come to visit. Will the town’s bosses not consider creating a competition to tidy them up? Written by a new arrival to Sedgefield in the same Easter edition.